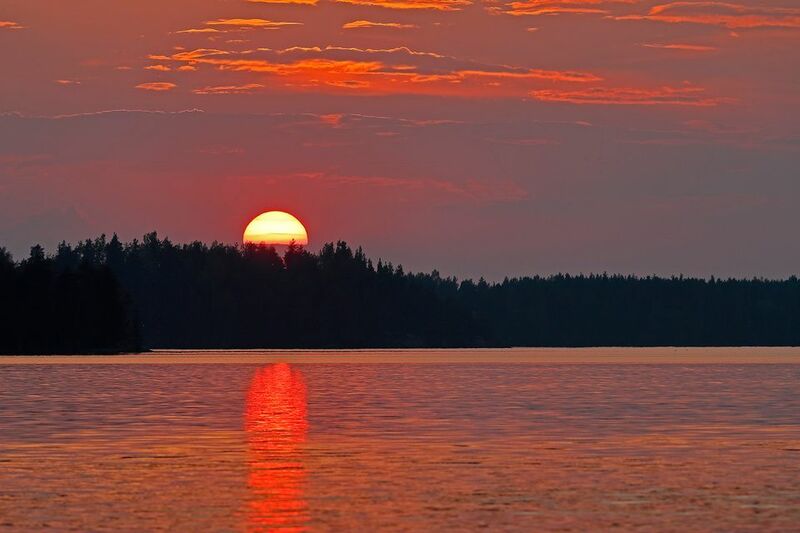 Smoke from forest fires in North America will give the sunset in parts of Finland a redder-than-usual tinge Monday evening. Smoke from forest fires raging in parts of North America is travelling north, producing spectacular sunsets in Nordic countries says Yle meteorologist Joonas Koskela. As a result, the sunset in northern Finland will be much redder than normal on Monday evening. It will also be possible to see the halo phenomenon around the sun in a zone stretching from the Ostrobothnia region in the west to Kainuu in the east. The sun halo is a ring around the sun caused by sunlight passing through ice crystals in cirrus clouds within the Earth’s atmosphere. The crystals reflect direct sunlight, projecting it elsewhere into the sky and at a certain angle a halo can be seen around the sun, explains Koskela. Yle meteorologist Seija Paasonen has been tracking the patterns of the North American forest fires for several weeks now. She says that the smoke has travelled as far as Europe owing to wind patterns in the upper atmosphere. ”The forest fire smoke has travelled long distances owing to the lack of rain and the appropriate upper wind currents,” says Paasonen. But being able to see the smoke may be hampered by today's cloudy weather, as clouds are thicker than smoke. Although August is drawing to a close, summer is not over and conditions will warm up during the week. According to Koskela, though Monday afternoon will be clear and sunny in southern and central regions, showers are likely in the north. On Tuesday, scattered rain showers will move over Finland from the west. But on Wednesday, summer will return with temperatures rising to 20 degrees Celsius throughout most of the country. ”Summer weather will continue from Wednesday to Friday, but not likely reach heatwave temperatures,” says Koskela.